Get Ready to Travel across Europe! So you think you’re pretty good with geography. Maybe you’re familiar with all of the various countries located in Africa. You also have the small island nations scattered around the globe down pat. And of course you are also quite familiar with Europe – but being quizzed on these countries in Russian is a whole other story, and that’s exactly what Puteshestvie po Evrope tends to do! 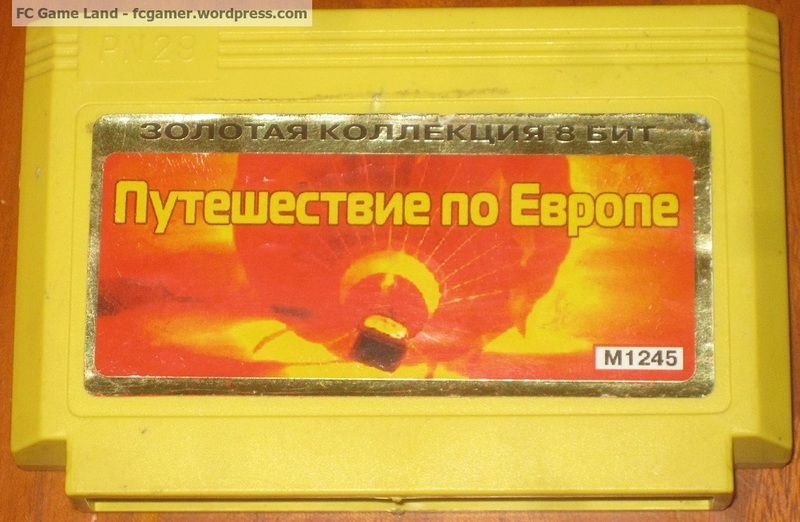 Puteshestvie po Evrope is one of the few unlicensed Famicom games, which was developed outside of Taiwan. 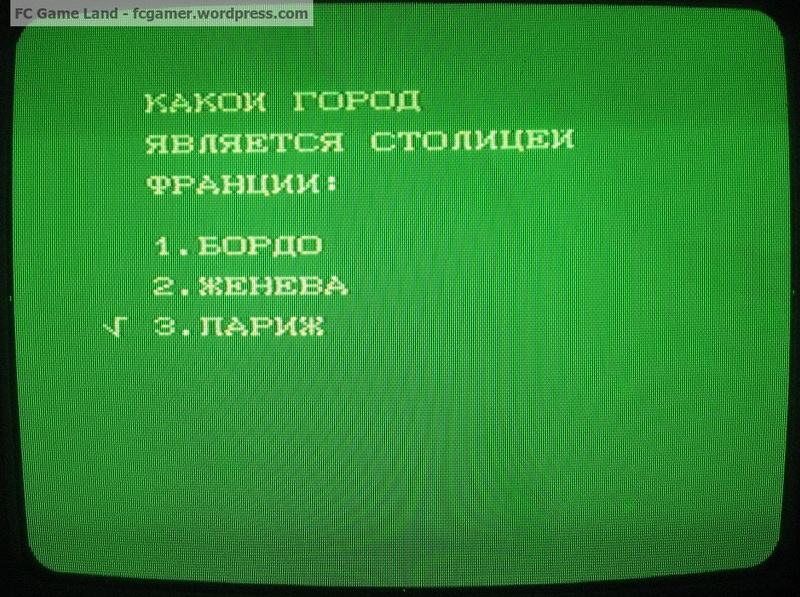 The game was developed by famed Russian programmer, A. Chudov, who would also collaborate with a few other game developers and publishers to release some gambling software for the Famicom. Like most of his programs, Chudov’s Puteshestvie po Evrope is quite simplistic in design and gameplay, though it can be a fun way to brush up on one’s European geography. The goal throughout Puteshestvie po Evrope is simple: one needs to travel throughout a handful of countries located within Europe. As in real life, one needs money to travel, and money can be earned by answering a bunch of simple geography questions such as “What country are you currently in?”, “What is the capital of this country?”, and “What country borders this country?” For each question that you answer, you will earn a few shekels; be careful though, as a wrong answer will deduct money from your account. What is the Flag of France? The game itself is quite simple, and so are the questions. 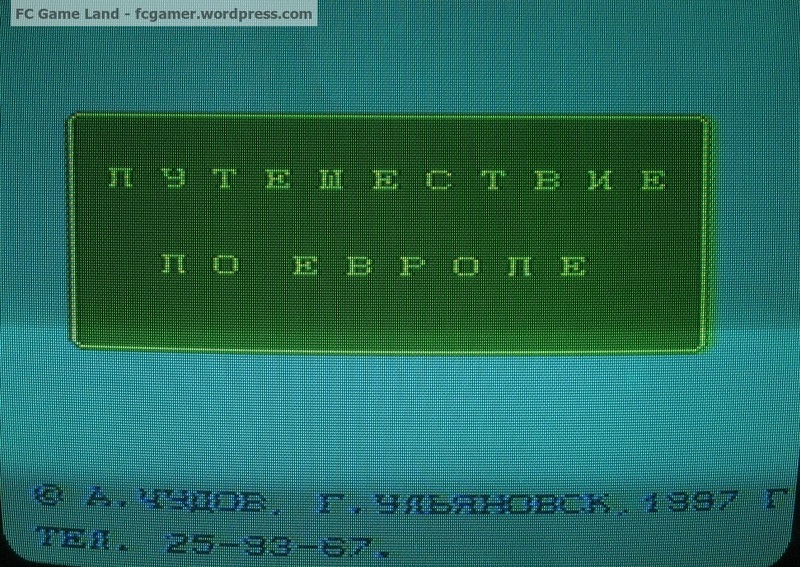 Those with any sense of European geography and an elementary understanding of the Cyrillic script will find that the game is rather short, taking roughly half an hour to complete. 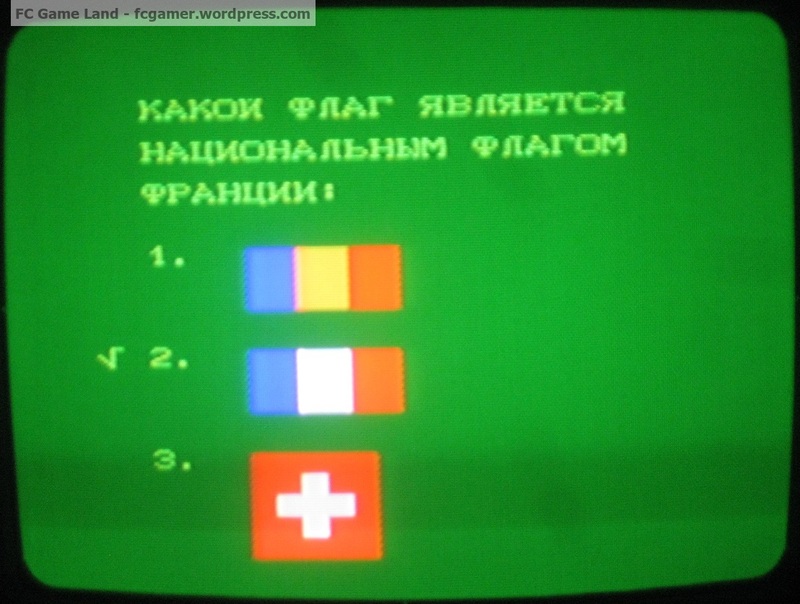 In addition, the game is somewhat incomplete: during no part of the game are you able to travel to former Soviet Union countries or the Scandinavian lands. If you do successfully manage to fly your hot air balloon across all of the countries in the game, the game will display a boring congratulatory message in the Russian language, before the game resets.